What Is The Best Mötley Crüe Album of All Time? 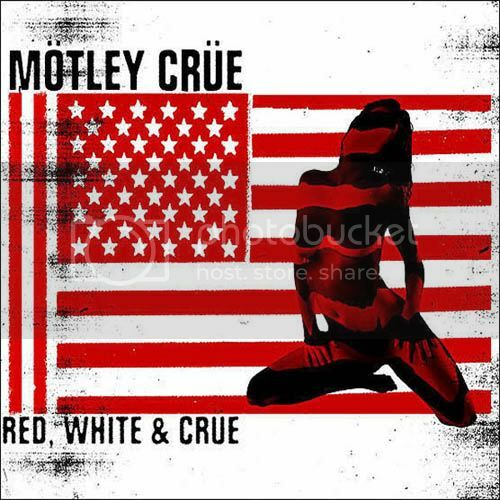 Red, White & Crüe is another Greatest Hits set and the one to get out of them all. It's 2 CD's with all the songs you know and love. As before it comes with new songs recorded specifically for this package: If I Die Tomorrow, Sick Love Song and Street Fighting Man. Fave Songs: If I Die Tomorrow. Album cover is meh. Greatest Video Hits collects every single video up to that point of release back in 2003 into one awesome DVD set. It's all there in 5.1 Dolby Digital and let me tell you, it sounds amazing. It's been a couple of years since I last watched it. The best part of the set is the 1 hour Documentary/Interview with both Nikki Sixx and Tommy Lee deconstructing every video with behind the scene commentaries. 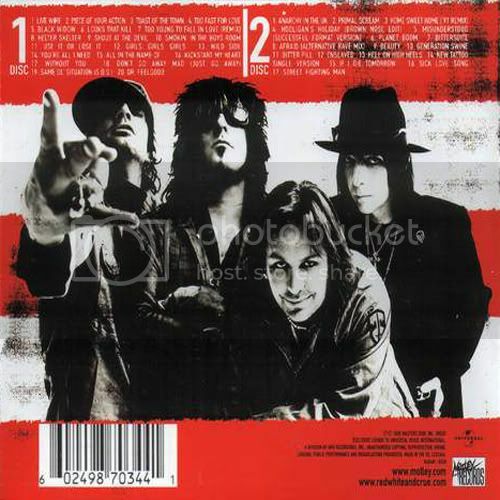 Other bonuses include X Rated and alternate versions for Girls, Girls, Girls, Dr. Feelgood, Primal Scream, Misunderstood, Hell On High Heels and Home Sweet Home (Remix '91). 27 videos in all. Not bad if I do say so myself. Definitely a must for any fan of Mötley Crüe. 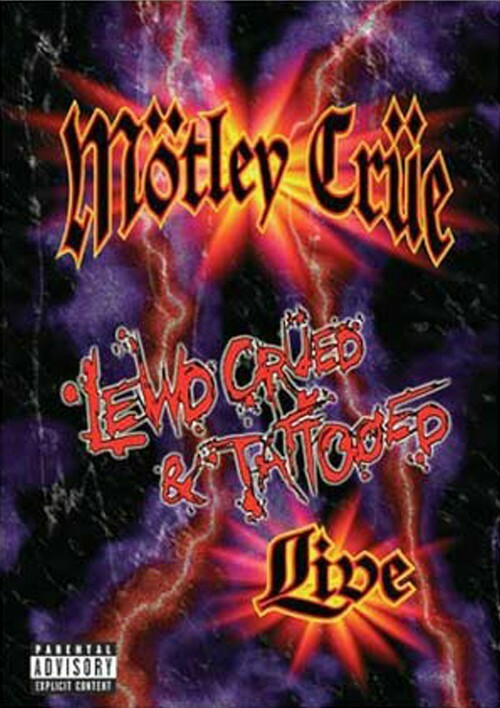 Mötley Crüe's Lewd Crued & Tattooed is a live concert set that takes place on the New Tattoo Tour. It's a pretty solid show from start to finish, but nowhere near that of their Carnival Of Sins concert. On drums is Samantha Maloney taking over for Randy Castillo. RIP. Samantha really is the MVP here. She alone makes this worth picking up. She holds her on and then some. Sonically this DVD sounds great because of her drumming style and in how the sound mix really pushes her drums to the forefront here. 5.1 Dolby Digital surround sound is pretty good. Vince Neil's voice at times seems to be cracking a bit, so it's not a perfect showcase for the band on DVD. That honor goes to Carnival Of Sins, which the review is forthcoming. I was not expecting this. What the hell. How come I'm just now hearing about this....2 months after the fact. The link was broken. Everything seems to be working now. Haha. I love it. Make it happen. It would be a cool little way to end it all by having one of Crue's biggest influences doing it which makes it more than appropriate. With that said, I'll be expecting to see Crue back out of retirement in a less than 2 years.